Arm your Resistance Fighters with the latest S.O.E. weapons technology! These are Fine Scale items. 2x Combi-Rifle with integrated grenade launcher. 1x Combi-Rifle with integrated grenade launcher - Officer arm. 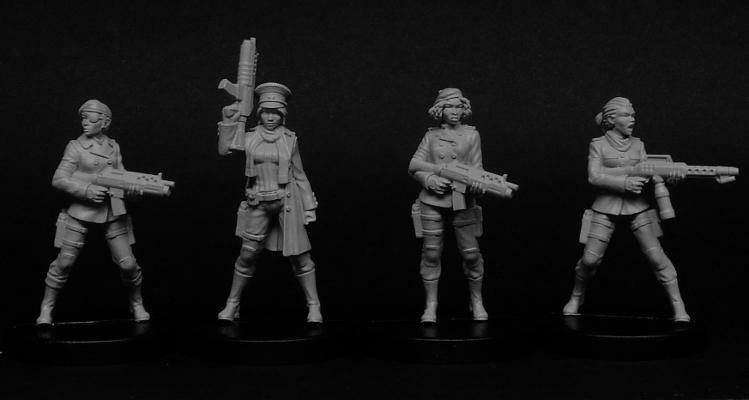 The Resistance Fighters - Weapons 3 sprue is priced at £1.75. These parts are designed to be used with the Resistance Fighter figures, Resistance Cell Officers and Resistance Recon sets. 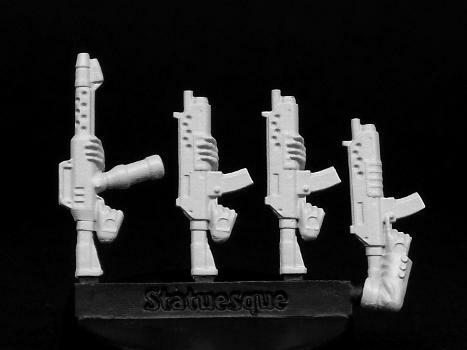 Please note the stocks have been included on the weapons for greater conversion potential. Simply clip off the stock to attach the weapon to the Resistance Fighter figures. Resistance Fighter figures and additional accessories not included.